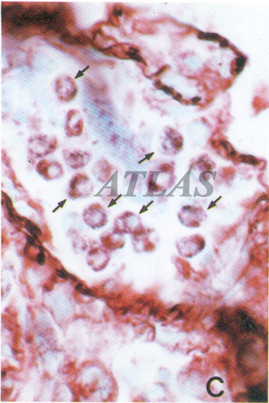 In situ hybridization of the rat lung with a probe of Pneumocystis carinii. 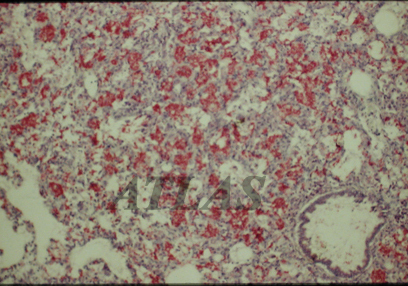 Numerous organisms (red) are found in the alveolar cavities and pulmonary interstitium of an immunosuppressed rat. HE stained, x150. 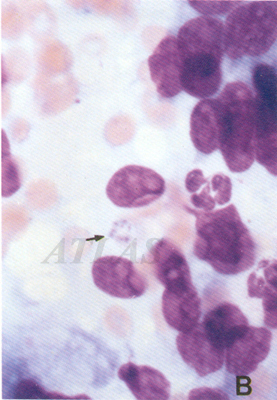 A fatal patient of Pneumocystis carinii pneumonia which was induced by steroid medication. 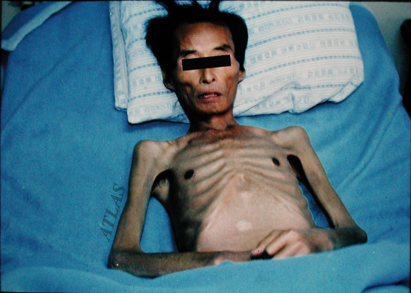 He showed severe emaciation and respiration difficulties. 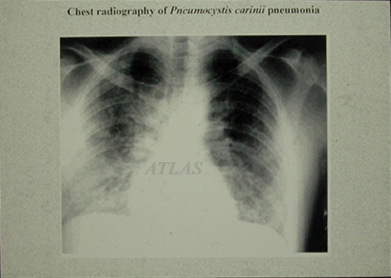 Chest PA radiography of Pneumocystis carinii pneumonia. 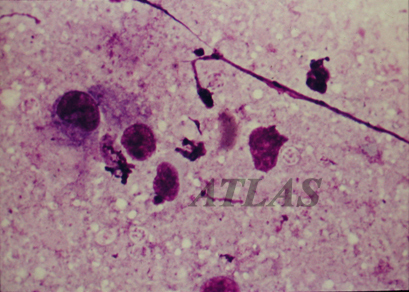 The bilateral lower lobes show hazy infiltration. 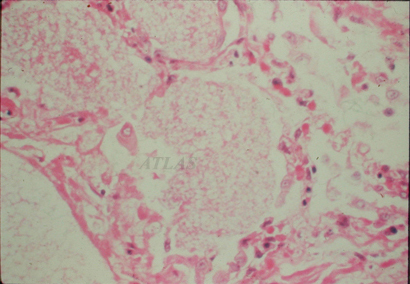 Lung section of Pneumocystis carinii pneumonia. 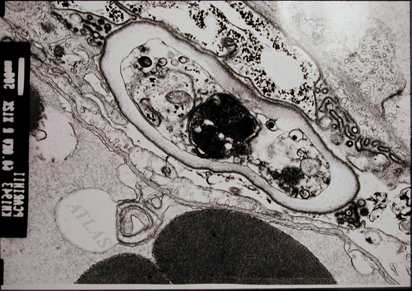 The alveolar cavity is filled with foamy eosinophilic material which is composed of organisms, necrotic debris and exudate. HE stained, x150. 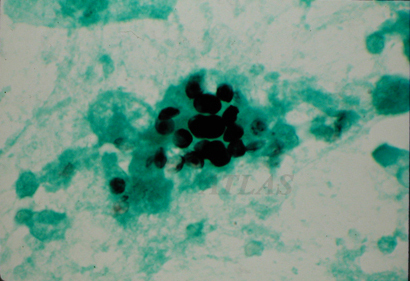 Smear of bronchoalveolar lavage fluid of Pneumocystis carinii pneumonia. 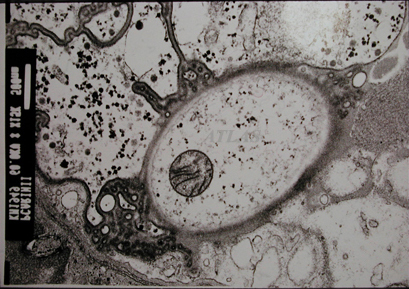 Black round organisms are cystic Pneumocystis carinii. 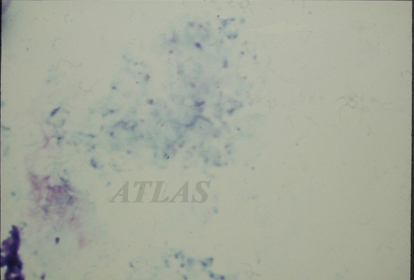 GMS (Groccot's methenamine silver) stained, x1500. 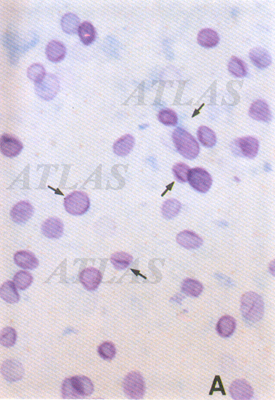 Immunoblotting pattern of human sera to Pneumocystis carinii antigens. 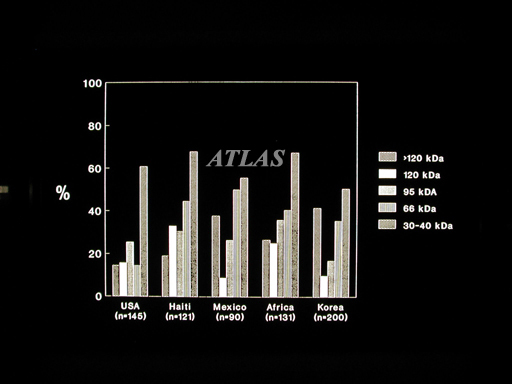 Overall positive rate of normal population is high as 80% over the world, but the rate to individual antigenc band is variable by localities in the world.